It is hard to find good fruits in the winter but citrus fruits are an exception, as their peak season is winter… We know that they are a powerhouse when it comes to Vitamin C, but what else do we need to know about them? Let’s break down their facts, benefits and fun trivia. 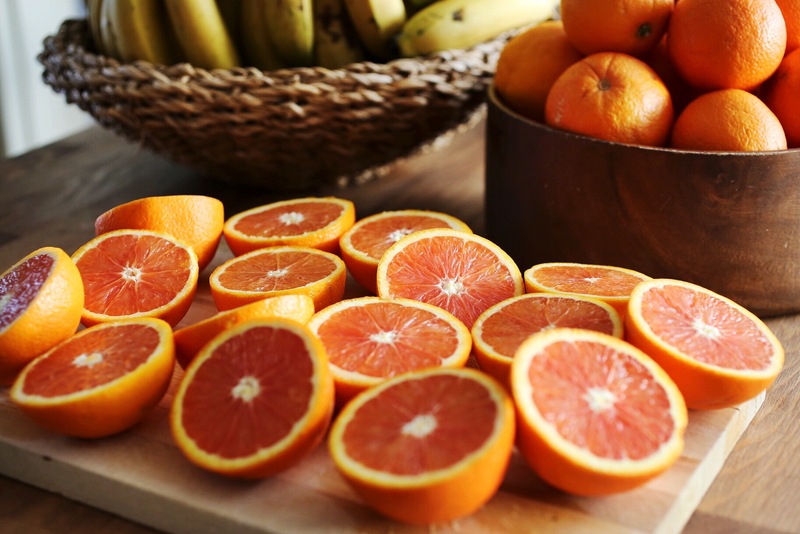 They boost immunity, as they are great sources of Vitamin C. A single medium size can fulfill about 72% of your daily requirement of Vitamin C. A single grapefruit can fulfill 100% of it. Especially in the winter time, Vitamin C plays an important role in strengthening immune response of the body, protecting against recurring cold and cough or any other common infections. They help prevent ageing of the skin, which is another benefit of Vitamin C. It is an vital molecule for collagen synthesis, which promotes great skin. They protect the eyes, as they contain a good amount of daily-required Vitamin A. They help brain development, as they contain folate / folic acid or vitamin B9, keeps the vital organ in mint condition. Especially great for pregnant woman as it prevents the baby from having neurological disorders later. Also contain phytonutrients called polyphenols that play a role in development of learning and memory functions of the brain. They help prevent cancer as they are rich in limonoids (limonene), which is proven to help fight a number of varieties of cancer (including skin, lung, liver, breast and colon). They inhibit tumor formation by the formation of glutathione-S-transferase, a detoxifying enzyme. This enzyme sparks a reaction in the liver that helps to make toxic compounds more water soluble for excretion from the body. Scientists from the US Agricultural Research Service (ARS) have shown our bodies can readily absorb and utilize a very long-acting limonoid called limonene that is present in citrus fruits in about the same amount as Vitamin C. According to their research, the blood tests showed that the traces of limonene were present in their plasma with concentrations highest within 6 hours after consumption of orange juice. Traces of limonene were present in some of the volunteers 24 hours after consumption! Limonene’s bio availability and persistence can explain why citrus limonoids are potent anti-carcinogens as they may prevent cancerous cells from proliferating. Other anti-carcinogens are available for a much less time, like phenols in green tea and chocolate remain active in the body only for 4-6 hours. They boost hearth health as they are full of potassium, which is an electrolyte mineral that is responsible for helping the hearth function well. They also prevent kidney diseases, lowers cholesterol and alkalize the body. They provide smart carbohydrates and low in Glycemic Index (everything lower than 55 is considered low) which makes it perfect for everybody even for people with diabetes. Tip: Citrus fruits are considered acidic fruits. This does not mean they are acidic, they are just acidic to taste. Once they are digested in the body, they are alkaline to the body. It is best to combine them with sub-acid fruits, such as apples, pomegranate, berries, peaches, apricots and grapes. They are not combined well together with very sweet fruits such as bananas, dates and persimmons. 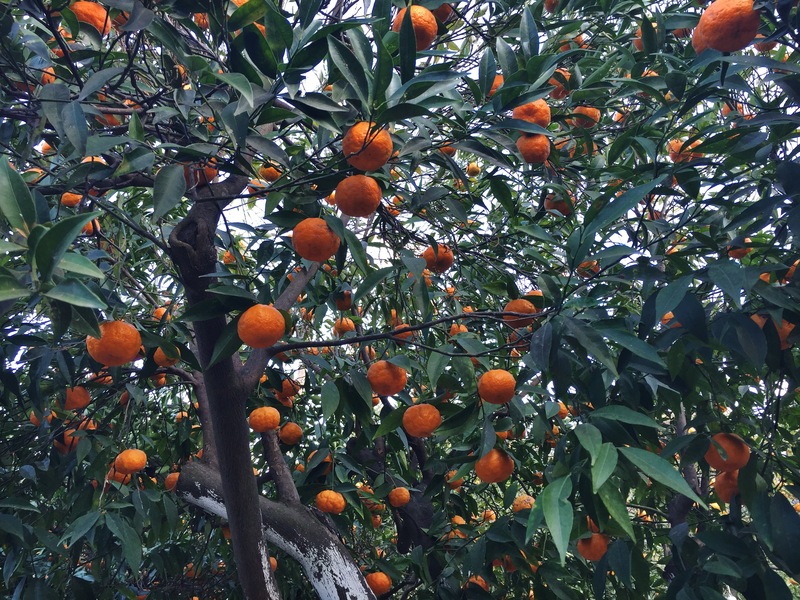 There are many different types of oranges such as navel, mandarin, blood oranges, Valencia and Seville just to name a few. Some of them are very sweet and others have more of a sour taste. Tip: To extract juice from oranges, always juice them when they are at room temperature. rolling them under the palm of your hand on a flat surface will also help extract more juice. 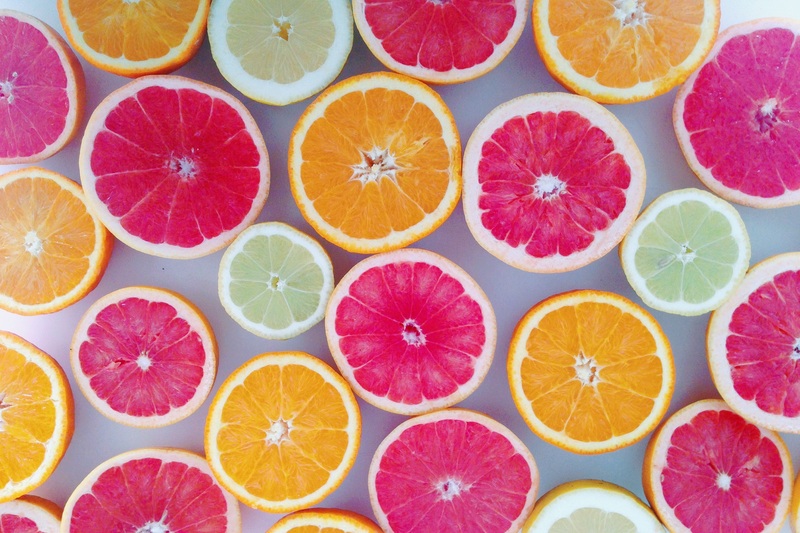 Tip 2: Vitamin C gets destroyed fast when exposed to the air (oxidation), so eat up an orange quickly once cut up. 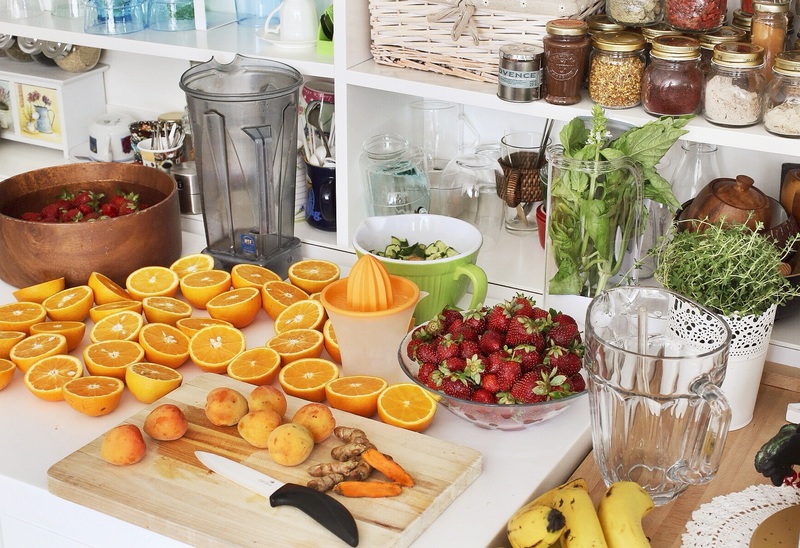 Do not leave the juice exposed for too long to preserve optimal nutrients. Oranges can be stored at room temperature for up to two weeks. Tip 3: When you cut an orange, make sure you do it in a way that inner peel doesn’t come off since it is very nutritious and has higher amounts of hesperidin than the flesh itself. Orange has over 170 different phytochemicals and more than 60 flavonoids many of which have been shown to have anti inflammatory properties and strong antioxidant effects. 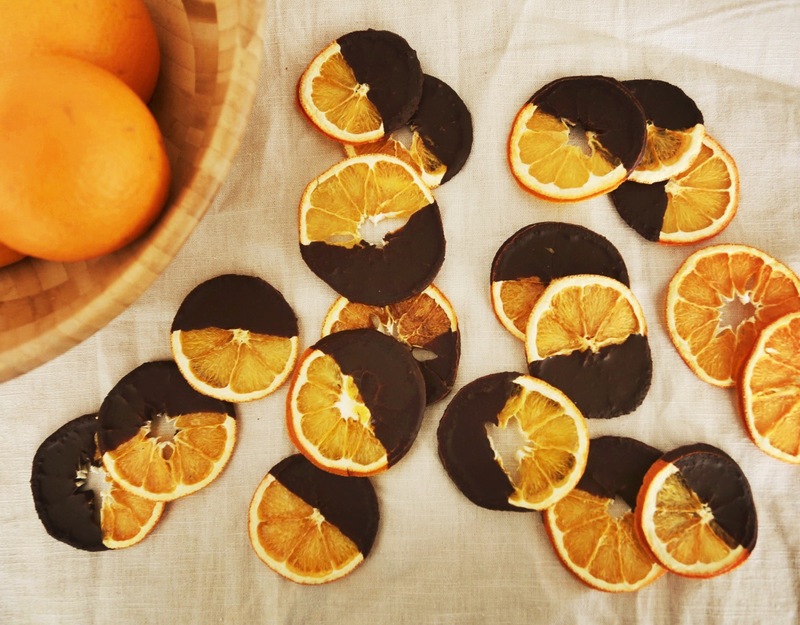 Tip 4: You can try slicing oranges really thin and dehydrate them and then dip them in chocolate sauce. Very easy to do and are perfect sweet snacks when you crave something sweet (recipe below). 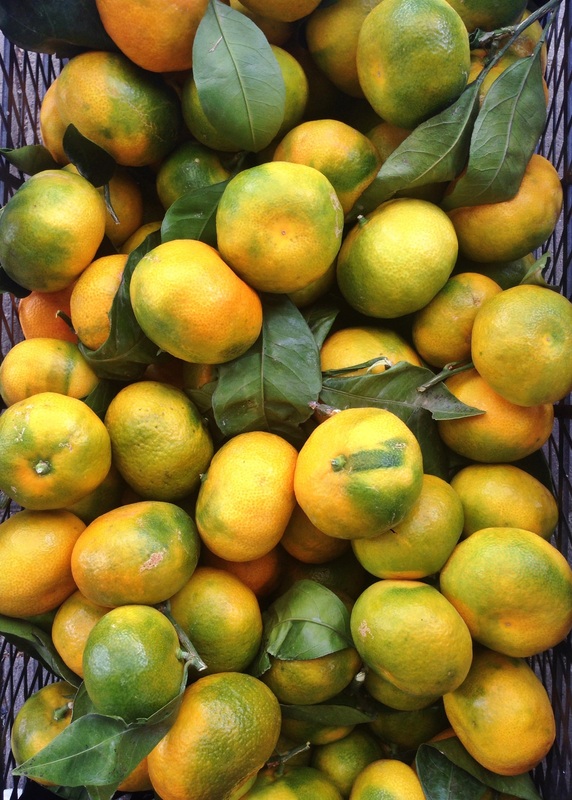 Latin name is Citrus Paradisi, as ne name suggests, the wonderful taste of grapefruit is like paradise! 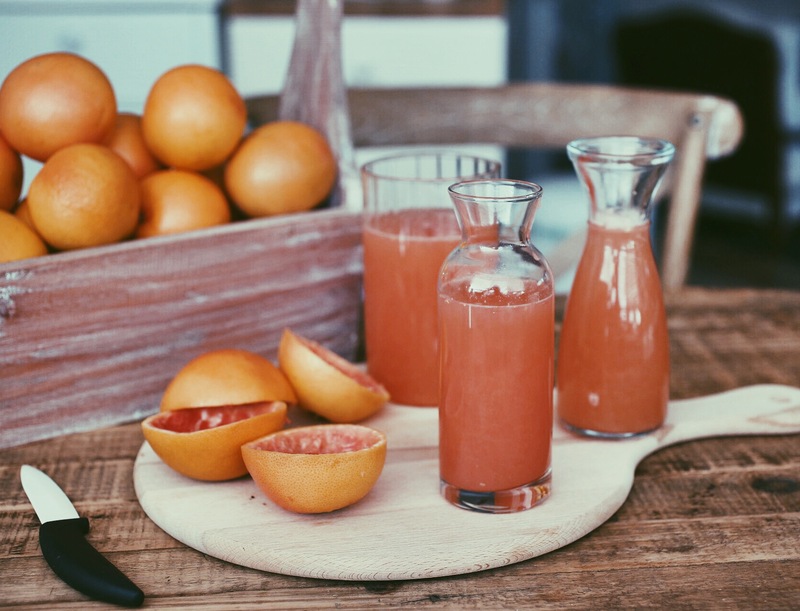 The rich pink and red colors of grapefruit are due to lycopene, a carotenoid phytonutrient (It is not found in white grapefruit). Lycopene has the highest capacity to fight oxygen free radicals which damages cells. Satsuma mandarins are probably my favorite fruit during winter. I love how sweet they are, can easily eat them and carry with me as snacks as they are very easily peeled. I even like to eat them when they are green and sour to taste. 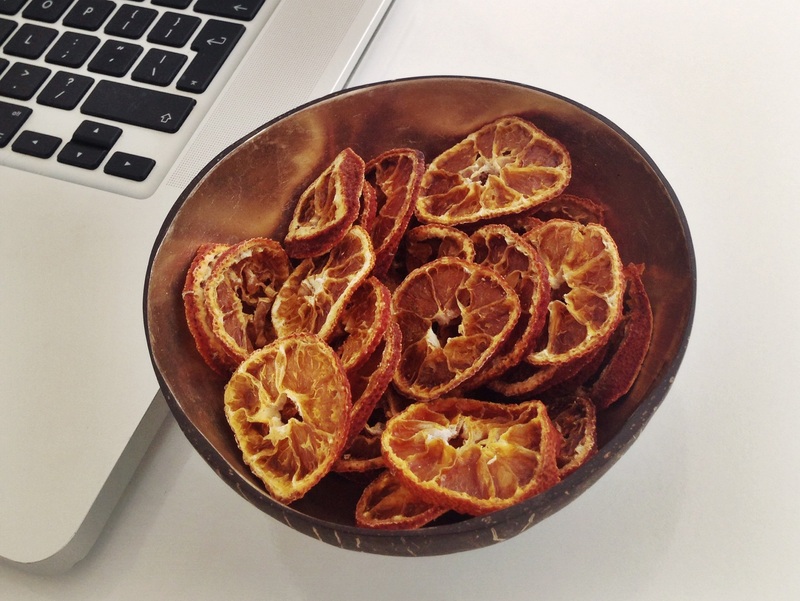 There are some varieties, like Bodrum satsumas, are very aromatic and fill your entire room with unbelievable smell. I also like to dehydrate them like oranges. Blood orange deserves a spotlight as they are considered superior comparing to other orange types. They contain anthocyanins, which is the basic compound that give color to fruits, plants and vegetables that dark-red color. Experts believe that anthocyanins have anti-inflammatory properties that affect the collagen and are also good for preventing cancer, diabetes and bacterial infections, as well as reducing the risk of heart disease. Another one of the health benefits of blood oranges is that they help to defend blood vessels from oxidative damage. blood oranges are usually much darker in color, especially the ones coming from Sicily. However when blood oranges are harvested elsewhere, they can be less pigmented like this. Lemons and limes are the most alkaline citrus fruits (around pH 9). The highest content of limonene is found in the white spongy inner parts of the lemon. When juicing a lemon, you can put in the whole fruit together with the peel, to get the most nutrition out of it (be sure to wash and brush the dirt off the skin). This method makes the juice very bitter tough. Tip: Put limes/lemon slices (together with peel) into your drinking water or their juice in your juices. Lemon juice in your drink will increase the absorbability of the other nutrients in your drink up to five times! Tip 2: I like to juice a glass of either lime or lemon juice and make ice cubes out of it. You can pop a few lime or lemon cubes into your drink to refreshen it and enjoy its immense health benefits. Tip 3: When buying lemons, look at the stem end of the lemon. There should be about four or five little lines radiating out of the stem. The greater the number of these lines, the higher the mineral content of the lemon. 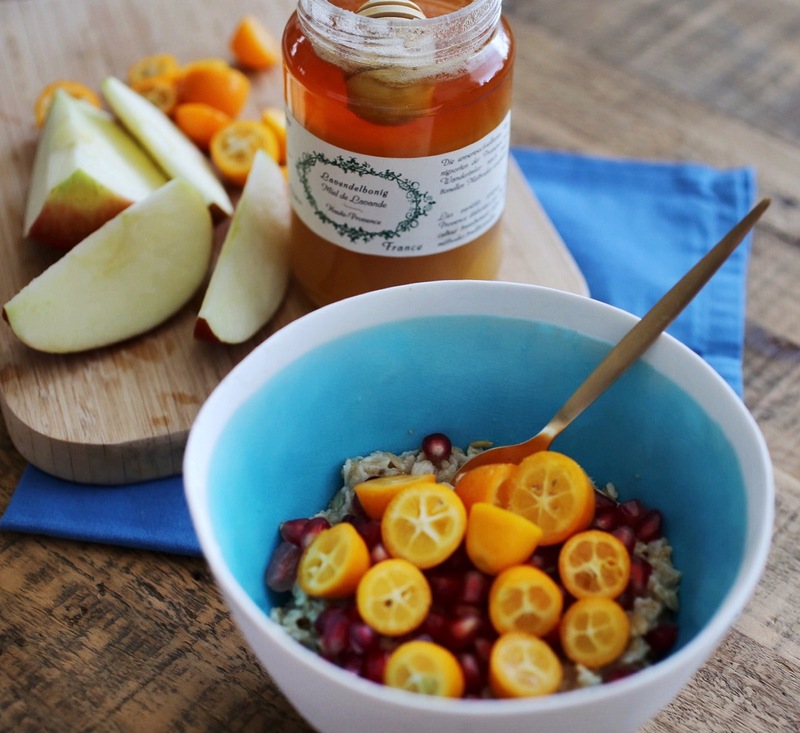 1 cup oats, amaranth, millet or quinoa, depending on your choice. Cook both ingredients at medium temperature until the oats or grains absorbed all the milk and soften. Add more milk if you want more liquid-y. Add on top; kumquats, pomegranate, apples, other fruits. To sweeten; raw honey, coconut sugar, coconut nectar. 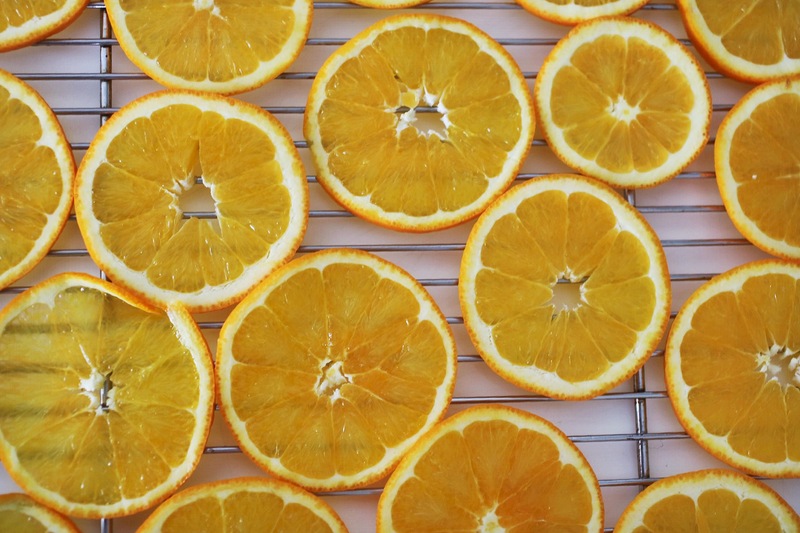 Slice 2-3 oranges very thinly, and place them over an oven rack (they need to be dried all over so that would be the best). If you don’t have a dehydrator, you can use your oven; open the fan setting, adjust heat to 45-50 C and open the door of the oven just enough to let the humidity get out. In 6 hours they will be dried. Place them in a container and close them tightly, they will loose their crunchiness otherwise. Melt all the ingredients bain-marie style, and stir them well until well combined. Make sure there will be no water mixing in, and be careful with the steam as well, it will ruin the chocolate. 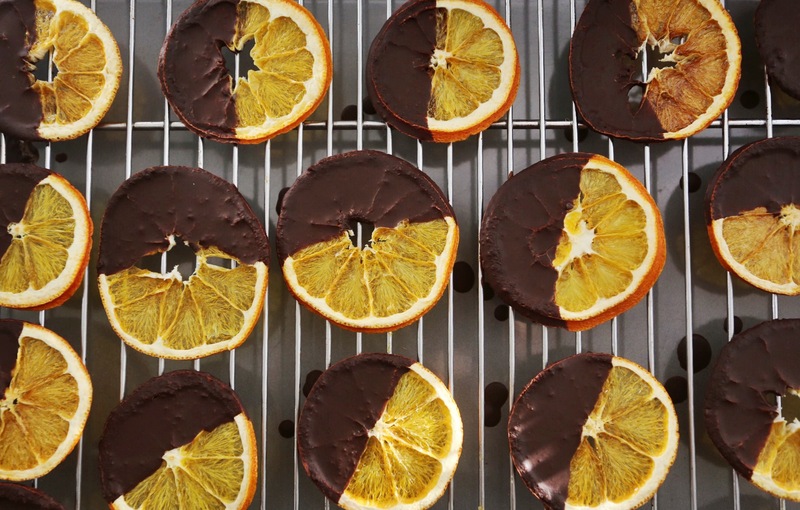 Place your oven rack over an oven tray, and dip in dried oranges (half of them) to the chocolate and place them again over the rack (The excess chocolate will drip down). Let it cool for 1 hour. Pack them in an airtight container after chocolate is hardened. You can place the excess chocolate in a chocolate mold and cool it in a refrigerator. Kışın iyi meyve bulmak zor evet ama şanslıyız ki, kışın kraliyetini ilan eden turunçgiller var. Hepsinin birer C Vitamini deposu olduğunu biliyoruz, peki onların hakkında başka neler bilmemiz lazım? İmmün sistemimizi güçlendiriyorlar. Yüksek miktarda C Vitamini içerdikleri için, orta boy bir portakal günlük ihtiyacınızın %72 sini, 1 greyfurt ise tamamını karşılayacaktır. Özellikle grip, nezle gibi hastalıkların kol gezdiği kış aylarında, C Vitamini vücudun immün cevabını güçlendirerek sizi tüm bu hastalıklara karşı koruyacaktır. Cildimizi güzelleştiriyor ve erken yaşlanmamızı engelliyorlar. C Vitamini sağolsun, kolajen sentezinin kolayca oluşmasını sağlayıp, harika bir cilde sahip olmamızı sağlıyorlar. İçerdikleri yüksek A Vitamini sayesinde gözlerimizi koruyorlar. İçerdikleri folat/folik asit veya B9 Vitamini sayesinde, beyin gelişimine katkıda bulunuyorlar. Özellikle hamile kadınlar için çok önemli olan bu vitamin, bebeğin ilerde nörolojik hastalıklara yakalanmasını engelliyor. Turunçgillerde bulunan polyphenoller (bir çeşit fitokimyasal), beynin öğrenme ve hafıza fonksiyonlarının gelişmesi için önemli bir rol oynarlar. En önemlisi, çağımızın hastalığı olan kansere yakalanmamızı engelliyorlar. İçerdikleri limonoidler (limonene) sayesinde, birçok kanser tipiyle savaşıyorlar; cilt, akciğer, meme, karaciğer ve kolon gibi. Tam olarak şu şekilde oluyor: Glutatyon-S-transferaz adı verilen detoks enziminin oluşmasına yardımcı olarak, tümorlerin oluşumuna engel oluyorlar. Bu enzim karaciğerde reaksiyon göstererek toksik maddelerin sıvıda çözünebilir hale getirerek, idrar veya dışkı yoluyla vücuttan atılımını kolaylaştırıyor. ABD Tarım Araştırmaları Servisi’nin yaptığı araştırmalar sayesinde, şunu da öğrenmiş olduk; vücut, turunçgillerde C Vitamini kadar çok bulunan limonene adlı fitokimyasalı rahatlıkla emip, çok uzun süre kullanabiliyor. Yaptıkları kan testleri, portakal suyu içen deneklerin kanlarında, içtikten 6 saat sonra hatta bazılarında 24 saat sonra hala limonene bulunduğunu göstermiştir. Limonene adı verilen fitokimyasalın bu kalıcılığı, aslında turunçgillerin neden gelmiş geçmiş en güçlü anti-kanser özelliğine sahip meyveler olduğunun kanıtıdır. Daha başka anti-kanser özelliği olan bir sürü fitokimyasal var, örneğin yeşil çay ve kakaoda buluna phenoller, fakat vücutta sadece 4-6 saat aktif kalabiliyorlar. İçerdikleri potasyum sayesinde kalp sağlığını korurlar, kolesterolu düşürmekte birebirler. Glisemik indeksleri düşük olduğu için (55den düşük olan tüm besinler düşük kabul edilir), herkes tarafından tüketilmesi uygundur, özellikle diyabeti olanlara tavsiye edilir. İpucu: Turunçgiller asidik meyve statüsündeler. Fakat sanılanın tersine bu asidik oldukları anlamına gelmez, sadece tatları asidiktir, vücutta sindirildikleri zaman alkali statüsüne girerler. Turunçgilleri çok tatlı meyvelerle (muz, hurma, trabzon hurması, kuru meyveler) birleştirmek doğru değildir, iyi sindirilemez ve fermentasyona sebep olurlar, bu da kilo alımını tetikler. Sub-asit meyvelerle (elma, şeftali, kayısı, üzüm, orman meyveleri gibi) birleştirmek daha doğrudur. Bir çok tip portakal vardır; Navel, mandalina, kan portakalı, Valencia, Sicilya ve ülkemizde daha bulunan birçok çeşit. Bazıları tatlı bazıları daha ekşidir. Genel kural olarak; daha ekşi olanlar genelde daha alkali oluyor. İpucu: Portakalların oda sıcaklığındayken sıkılmaları daha doğru. Avucunuzla üstlerinden bastırarak düz bir yüzeyde yuvarlayın. Bu şekilde daha fazla sularını çıkartabilirsiniz. İpucu 2: C Vitamini havaya maruz kaldığında çok çabuk oksidasyona uğrayıp özelliklerini kaybeder. O yüzden seramik bıçak kullanarak kestikten sonra hemen yemeye bakın. Suyunu sıktıktan sonra da hemen için. Portakallar oda sıcaklığında 2 haftaya kadar saklanabilir. İpucu 3: Portakalın beyaz kısımlarını da yiyebilirsiniz, beyaz kısımları etinden çok daha fazla hesperidin içerir. Portakallarda 170 den fazla fitokimyasal ve 60 tan fazla flavonoid vardır, hepsinin ayrı anti-enflamatuar (enflamasyonu engelleyici) ve güçlü antioksidan özelliği bulunur. İpucu 4 Portakalları ince dilimleyip, kurutmayı deneyebilirsiniz. Yarısını çikolataya batırıp, kolay ve sağlıklı atıştırmalıklar hazırlayabilirsiniz (Tarif aşağıda). Latince adı Citrus Paradisi, yani cennetlik Turunç! Tadı gerçekten de benim favorilerimden. Koyu pembe ve kırmızı olan greyfurtlarda likopen bulunuyor, o yüzden beyaz olanları yerine pembe olanları tercih edin. Zaten tadı da daha lezzetli oluyor. Likopen antioksidan özelliği en yüksek olan fitokimyasalların başında geliyor. Herhalde aralarından en çok sevdiğim turunçgil budur. Bundan daha tatlı turunçgil yok sanırsam. Taşıması ve koyması kolay olması, onları mükemmel ara öğün haline getiriyor. Ben yeşillerken ve tatları hafif ekşiyken bile seviyorum. Bodrum mandalinası zaten dünyaca ünlü, o inanılmaz aroması ve kokusu daha soymadan tüm odayı dolduracak kadar güçlü. Mandalinaları da ince dilimleyip kurutmayı deneyebilirsiniz. Bu portakal cinsi ayrı bir başlığı hakediyor çünkü içinde diğer portakallarda olmayan anthocyanin fitokimyasalı var. Anthocyanin, bitkilere koyu kırmızı rengi veren bir bileşim, ve güçlü anti-enflamatuar özelliği var, kolajenin oluşumuna da yardımcı oluyor ve kanser, diyabet ve enfeksiyonların oluşumuna engel oluyor. Kalp hastalığı riskini de düşürdüğü kanıtlanmış, damarların zarar görmesini engelliyor. Kan portakalları normalde çok koyu kırmızı renkte oluyor, özellikle Sicilya’dan gelenlerde. Fakat Sicilya dışında tarımı yapılan yerlerde içi bu kadar kırmızı olmayabiliyor. Bunun ne kadar güneş ışığına maruz kaldığı, yetiştirildiği toprak, geçirdiği iklim değişiklikleri ve daha birçok faktörle alakası olduğu düşünülüyor. Yani kan portakalı diye alırsanız büyük ihtimalle o İtalya’da rastladığınız muhteşem kan portakalı rengini göremeyebilirsiniz, üzülmeyin. Kumkuatları diğer turunçgillerden ayıran yegane özelliği şu; kabuğuyla beraber yiyebiliyorsunuz. Önce ekşi, sonra tatlı-acı muhteşem bir tat bırakıyor ağzınızda. Tanıdığım bazı insanlar kumkuat sosu yapıyorlar (ya limon gibi suyunu sıkacaksınız, ya da blenderde olduğu gibi diğer malzemelerle karıştıracaksınız). Benim en sevdiğim ara öğünlerin başında geliyor. Bir de porridge dediğimiz bir çeşit lapanın üzerinde kullanmayı da seviyorum, aşağıda tarifi bulacaksınız. Limonlar en alkali turunçgillerin başında geliyor (ph 9 civarı). Limonene ikisinde de bol miktarda bulunuyor, özellikle beyaz kısımlarında. Dolayısıyla limonu komple kabuğuyla sıkabilirsiniz zaman zaman (tadı daha acı olacaktır). Kabuğunu iyice yıkadığınızdan emin olun, mümkünse organik alın. İpucu: İçtiğiniz sulara bol limon/misket limonu katın (kabuklarıyla beraber). Limon suyu koyduğunuz herşey (içecekler, soslar, vs.) içerdiği besin değerlerinin emilimini 5 kata kadar arttıracaktır. İpucu 2: Sıktığınız limon sularını buz kalıplarına doldurup dondurabilirsiniz. Böylece elinizin altında sürekli bulunur, içecekleriniz ferahlık ve sağlık katar. İpucu 3: Limon aldığınızda, limonların sap kısmına bakın. 4-5 adet dışarıya doğru uzanan çizgi olması lazım, ne kadar çizgi varsa, içeriğindeki mineral o kadar fazladır. Harika bir kahvaltı seçeneğidir, öğlene kadar sizi inanılmaz tok tutar. Yayvan bir tavada malzemeleri orta ateşte pişirin. Arada karıştırın ki dibi tutmasın. İsterseniz daha fazla süt koyabilirsiniz. Üstüne; kumkuat, nar taneleri, elma, tercihinize göre diğer meyveler. Tatlandırmak için; lavanta balı, agave (tercihinize kalmış). 2-3 Portakalı ince dilimleyip, fırın ızgarasına koyun (her tarafının hava alması açısından daha iyi olacaktır). Kurutucu fırınınız yoksa fırının fanını açıp, en düşük sıcaklığa ayarlayıp (45-50 C), kapağını hafif aralık bırakın. 6 saat kadar sonra kurumuş olacaktır. Bir kaba koyup sıkıca kapatın, hava almamasına dikkat edin (Havayla temas ettikçe kıtırlığı gidecektir). Tüm malzemeleri benmari üsulu bir kapta homojen oluncaya kadar karıştırın. İçine su kaçmamasına özen gösterin, yoksa çikolata kesilir. Fırın ızgarasının altına fırın tepsisi koyun, kuruttuğunuz portakalları yarısına kadar bu sosa batırıp tekrar ızgaranın üstüne yerleştirin. Fazla çikolata alttaki tepsiye akacaktır. 1 saat dinlenmeye bırakın ve çikolatalar sertleştikten sonra tekrar hava almayacak şekilde paketleyin. Eğer çikolatanız artarsa, çikolata kalıbına doldurup buzdolabında dinlendirebilirsiniz. 1 saat sonra çikolatalarınız hazır olacaktır.